Shingles is one of those maladies that can make life very miserable for its victims. Generally shingles is not considered to be a serious condition, and will usually run its course without any significant complications. That is…providing you are an otherwise healthy person. This kin of chickenpox can lead to more critical concerns for certain people, and become much more than just a painful inconvenience that hassles you for a few weeks. And if you contracted chicken pox as a child, you are certainly at risk for developing shingles later on in life. 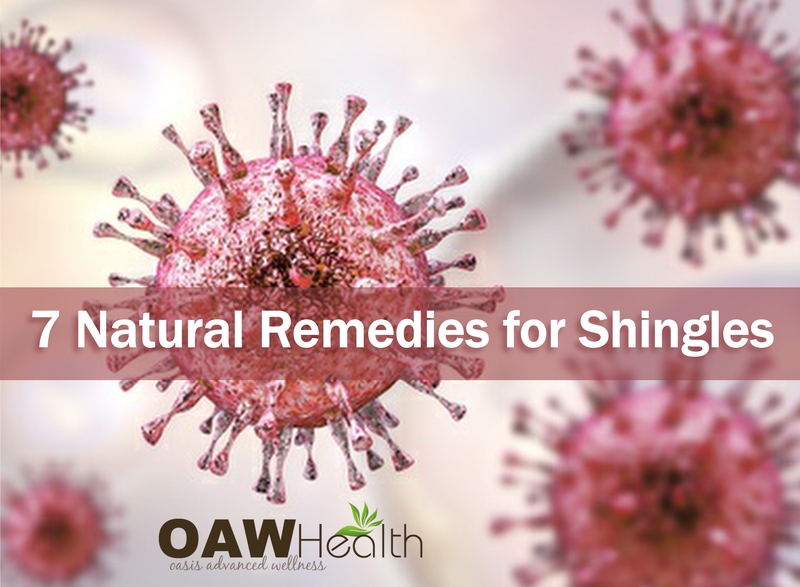 It’s good to know that many natural remedies for shingles are often more or just as effective than prescription drugs. Shingles, officially called herpes zoster, is a disease caused by the same virus that is responsible for chickenpox. The virus is known as varicella-zoster virus (VSV), and is actually an encore infection of the nerves triggered by left over antigens from a previous chickenpox infection that have lain dormant in the body. VSV is a member of the same family of viruses that causes genital herpes and cold sores. Shingles may appear years after the original chickenpox attack. The virus usually travels via the nerves to the skin and can cause nerve inflammation and damage as well as extreme pain. Shingles typically affects areas of the face and trunk in a pattern very similar to chickenpox. Chicken pox is also a herpes virus that never completely goes away. As stated above, it hides out (lays dormant) in nerve cells, waiting for the body terrain to be ripe for its appearance as shingles. Statistics tell us that approximately 20% of adults who contracted chickenpox as a child will develop shingles later in life. Most of these individuals are relatively healthy people, but people with compromised immune systems due to diseases such as diabetes or HIV, chemotherapy and/or radiation treatments, people being treated with immunosuppressive drugs such as corticosteroids, organ transplant recipients as well as emotional and chronic stress, are at an increased risk for developing shingles. Why Are Singles at Epidemic Proportions? Even though shingles generally affects people in age group of 50+, since the mass use of the chickenpox vaccine began, many practitioners now believe there is a shingles epidemic underway. If you look at conventional medicine research, it’s easy to conclude that contracting and recovering from chickenpox makes you more predisposed to shingles. Surprisingly, it actually works the other way around. In the majority of children, chickenpox presents as a very mild disease without complications. About 3.7 million cases were reported in the United States prior to 1995, with only an average of 100 casualties – 50 children and 50 adults, most of which already had weakened immune systems. Half of chickenpox cases occur in children ages five to nine, almost all recover without any complications. Yet, not many understand that recovery from chickenpox leaves you with a long-lasting natural immunity. After experiencing chickenpox, as you get older, contact with those who carry the virus asymptomatically fortifies your natural immunity against the infection and, consequently, shingles. In other words, exposure to the chickenpox virus is like getting a natural vaccine shot against shingles. Sadly, the emergence of the varicella vaccine has interfered with this natural process. Although cases of chickenpox have significantly declined, shingles rates have actually increased. A team at Britain’s Public Health Service (PHLS) called for a review of the mass chickenpox vaccination policy in the United States as well as other nations implementing mass vaccination. Although chickenpox is often harmful for those with weakened immune systems, the PHLS found that lack of exposure to the virus can make seniors (the elderly) more likely to get shingles, whose complications can prove fatal. The varicella zoster virus has threatened the natural “herd” immunity obtained from exposure and both children and adults are becoming less protected against chickenpox and shingles. This has activated a shingles epidemic to occur, as indicated by the following facts. Frequency of adult shingles has climbed by 90 percent from 1998 to 2003, following the acceptance of the mass vaccination policy. Before introduction of the chickenpox vaccine, shingles was only seen in adults. However, cases in children are growing, as shown by school nurse reports since 2000. Shingles has causes five times as many hospitalizations and three times as many deaths as chickenpox. Shingles is also behind 75 percent of all medical costs related to the varicella zoster virus. In an effort to ease the flaws of the chickenpox vaccine and control the ever-growing shingles epidemic, the CDC, along with Merck, developed a shingles vaccine. The pharmaceutical company come together with the National Institutes of Allergy and Infectious Diseases (NIAID) and created The Shingles Prevention Study, which soon led to the introduction of the shingles vaccine Zostavax. We should have known that was coming. Let’s talk about the issue of the shingles vaccine and chickenpox vaccine that are available and will certainly be offered to you and your children by mainstream medicine. As is the case with any vaccine, I highly suggest caution in allowing yourself or your children to be subjected to these injections. The dangers of these vaccines are alarmingly significant, despite what their manufacturers and the FDA claim. They also have not been around long enough to accurately read any unknown long-term effects. Research done by Gary S. Goldman, Ph.D. who served for eight years as a Research Analyst with the Varicella Active Surveillance Project in Los Angeles County with funding from the CDC, revealed higher rates of shingles in Americans since the government’s 1995 recommendation that all children receive chickenpox vaccine. The truth of the matter is that the vast majority of both shingles and chickenpox cases are uneventful, and resolve themselves in short order without any major complications. The federal Vaccine Adverse Events Reporting System (VAERS) received 6,574 reports of side effects after the chickenpox vaccination was implemented, between March 1995 and July 1998. Four percent of the reported complications after immunization include shock, encephalitis (brain inflammation), and thrombocytopenia (a blood disorder). Fourteen of those adverse reactions ended in death. Because of the reported complications, 17 warnings for reactions were added to the vaccine’s product label. Some of these reactions include cellulitis, transverse myelitis, Guillain-Barre syndrome, and shingles – even after the vaccine was used on a mass basis. When combined with other vaccines such as MMR, the chickenpox vaccine puts patients at a higher risk for other health issues. As has been previously said, cases of shingles will clear up on their own without much intervention, unless the person has a weakened immune system. However, the sooner you catch shingles and take steps to deal with the symptoms, the better the chance of avoiding complications such as post-herpetic neuralgia and secondary or prolonged infections. NOTE: Occurrences of shingles around the eyes or on the forehead can cause blindness. Consult an eye doctor immediately if such outbreaks occur. Warm baths are helpful to many people. Try one with colloidal oatmeal to soothe the skin and promote healing. Don’t continue the baths for any longer than necessary because too much bathing can contribute to dry skin which is often a concern for shingles patients, especially after the blisters have dried up. Make sure the bath water is filtered. A tablespoon of Ascorbic acid (Vitamin C) powder in your bath water will neutralize Chloramine. Add one teaspoon to your bath water about three to five minutes before you get in the bath so it has time to work. Apple Cider Vinegar compresses can also be useful to relieve pain and irritation. A great homemade recipe uses 1/2 cup of raw apple cider vinegar in two cups of tepid (lukewarm) filtered water. Apply the compress to affected areas for about ten minutes 2-4 times daily. This will help to dry up the blisters. Discontinue once the blisters are gone. 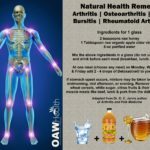 The application of raw honey may also help with symptoms as well as prescription medications. Proactively dealing with stress is one of the most important things you can do for yourself and your overall health. Stress reduces your immune system’s ability to fight off viruses such as shingles. Many outbreaks of shingles, especially among seniors, happen during or after an occurrence of stressful situations. Chiropractic. A visit to a chiropractor may prove helpful. The shingles virus dwells in the spinal column, where the virus can remain dormant for decades. Spinal misalignment is a strong contributing factor in outbreaks, and their duration. Chiropractic adjustments may dramatically speed the recovery process. Supplementation with vitamins B12 Methylcobalamin , Lysine, B complex, Vitality C, Vitamin A (as retinyl acetate), Zinc Orotate (best taken at the first sign of a shingles infection) and Vitamin D3 as can also give the immune system a boost. Another supplement to research is Lauricidin. Always use a good probiotic such as Floratrex. Capsaicin skin ointment may help to reduce the pain of shingles. Some have found that Grapefruit Seed Extract applied to the shingles area and by mouth to be effective (grapefruit seed extract should ALWAYS be diluted with distilled water before using internally and/or topically). Caution: If you are on medication that restricts the intake of grapefruit, do not use Grapefruit Seed Extract. 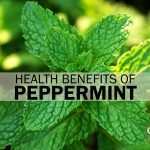 Topical applications of such essential oils as Lemon Balm, Peppermint, Oregano and Ravensara aromatica (Ravensara) can also help reduce pain and encourage healing. Always be sure to mix high quality organic essential oils with an appropriate carrier oil. Aromatherapy expert, and author of “Medical Aromatherapy” Dr. Kurt Schnaubelt, says “Our greatest success in the treatment of shingles is by applying a blend of 50% ravensara and 50% calophyllum inophyllum (oil of tamanu). Drastic improvements and complete remissions occur within seven days”. Those with low vitamin, mineral, fruit, and vegetable consumption are much more likely to get shingles. Keep your immune system strong and healthy by consuming lots of brightly colored organic fruits and vegetables, healthy fats (nuts, seeds, and fish); and fermented foods (raw sauerkraut, organic yogurt). If fermented foods are not something you enjoy, a good probiotic and prebiotic formula is a good choice. I recommend Floratrex. Drink lots of purified water everyday. In addition to eating healthy, it’s a good idea to take advantage of the immune strengthening effects of vitamins C and D for shingles prevention. For ongoing, general immune support, take 2,000 IU per day of vitamin D3 (or more, depending on blood levels of 25-OH-vitamin D; aim for a level of at least 80 nmol/L [32 ng/mL]) and at least 400 – 1000 mg per day of vitamin C. To further support your immune system, it is very important to get enough restful sleep. Perform a cleanse using ACS200 Extra Strength and ACZnano Extra Strength. Use according to the higher-dose directions on the bottle. Use ACS200 Gel Extra Strength on shingles sores. When it comes to any health concern, always check with a knowledgeable practitioner who knows your health history. If you decide you want to use natural remedies for shingles, begin by taking a look at your overall health and lifestyle. What needs to change? Are you willing to make the changes needed? As mentioned above, a healthy diet is always foundational to ensure that your body is getting all required nutrients. And remember that because we are all unique individuals, what works for one may not work for another. 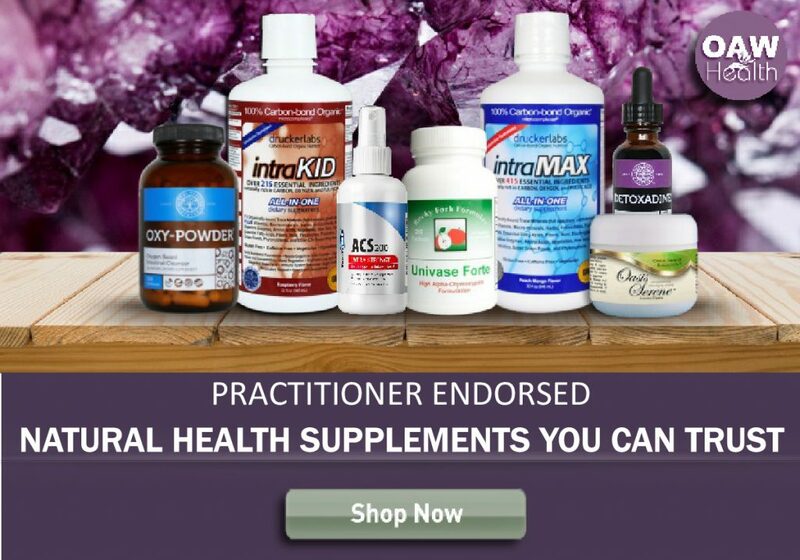 Natural remedies also need time to support the body in its natural healing mechanisms. Always give yourself and your body time to heal. (1) Billigmann VP. Enzyme therapy—an alternative in treatment of herpes zoster. A controlled study of 192 patients [translated from German]. Fortschr Med. 1995;113:43-48. (2) Kleine MW, Stauder GM, Beese EW. The intestinal absorption of orally administered hydrolytic enzymes and their effects in the treatment of acute herpes zoster as compared with those of oral acyclovir therapy. Phytomedicine. 1995;2:7-15. (8) 16 Ways to Naturally Improve Your Immune System by Loretta Lanphier, NP. (9) Linus Pauling Institute. Micronutrient Info Ctr. Nutrition and Immunity.